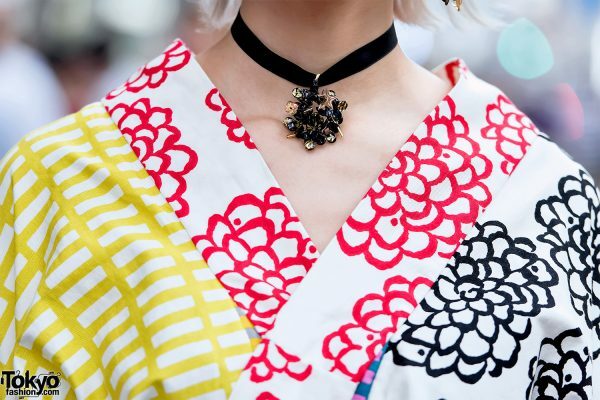 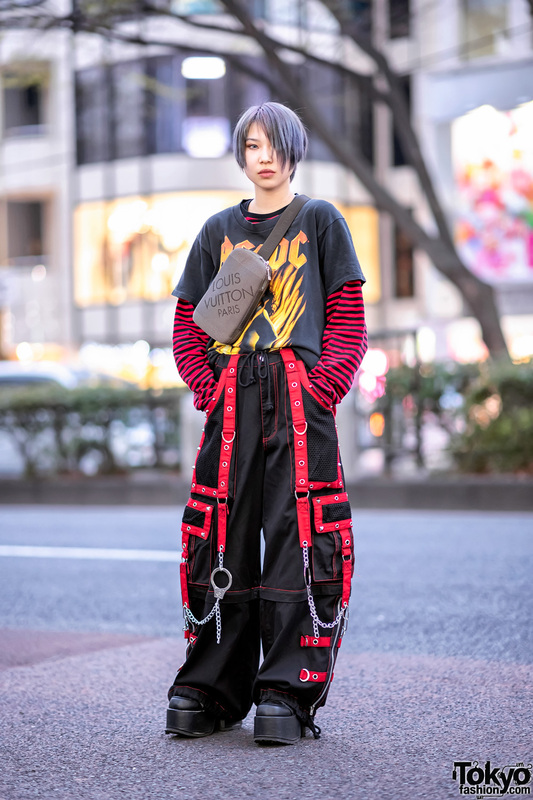 Tsumire is a Tokyo-based accessory designer who we have been following and street snapping for quite a few years now. 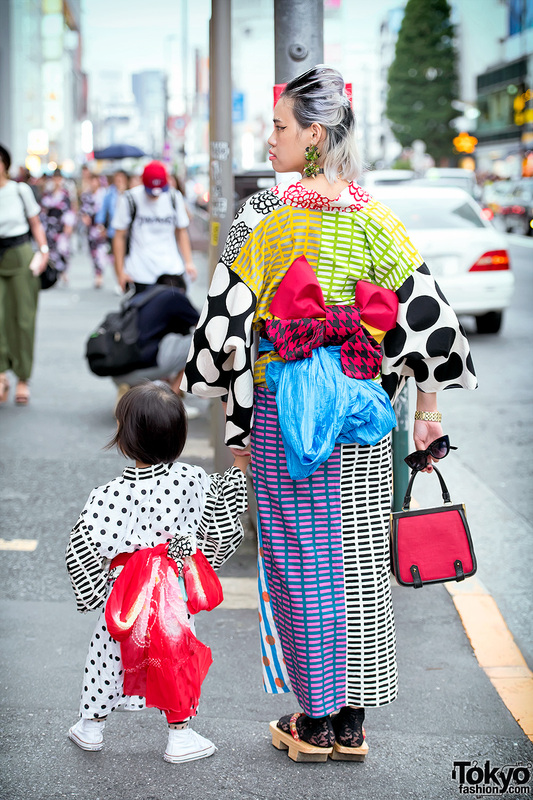 Her adorable daughter Ivy was twinning with her when we met her in Harajuku this time. 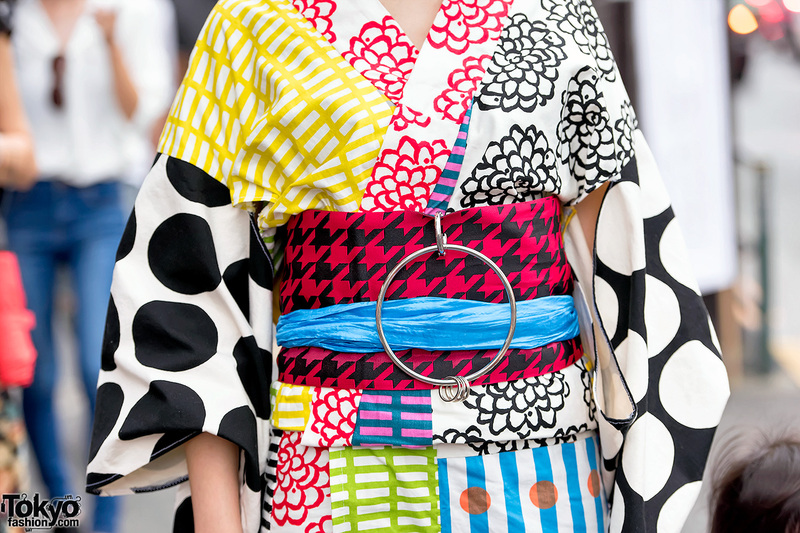 Tsumire and Ivy are wearing matching yukata (kimono) that were both handmade by Tsumire. Their obi’s and other accessories are also mostly handmade. Tsumire’s flower motif earrings and choker necklace are from her own handmade accessory brand The Ivy Tokyo. 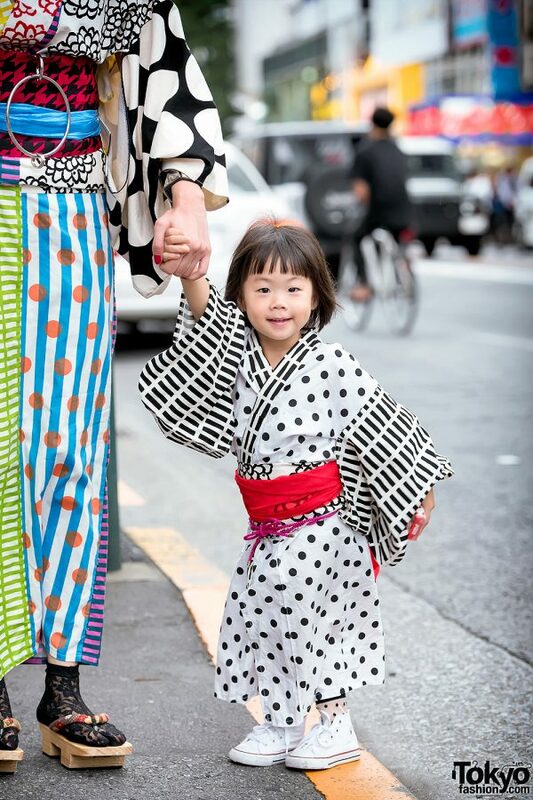 Follow Tsumire on Instagram – and also follow Baby Ivy!